This year get creative and choose gifts to delight everyone on your list and be remember for this unique piece of art. You will find something unique for your friends and family that they will appreciate you for it, because it will change the look in any room of thier home. 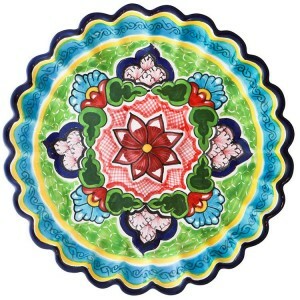 Talavera decorative pieces will enhance any room of any home lacking in liveliness as to cause mental weariness. 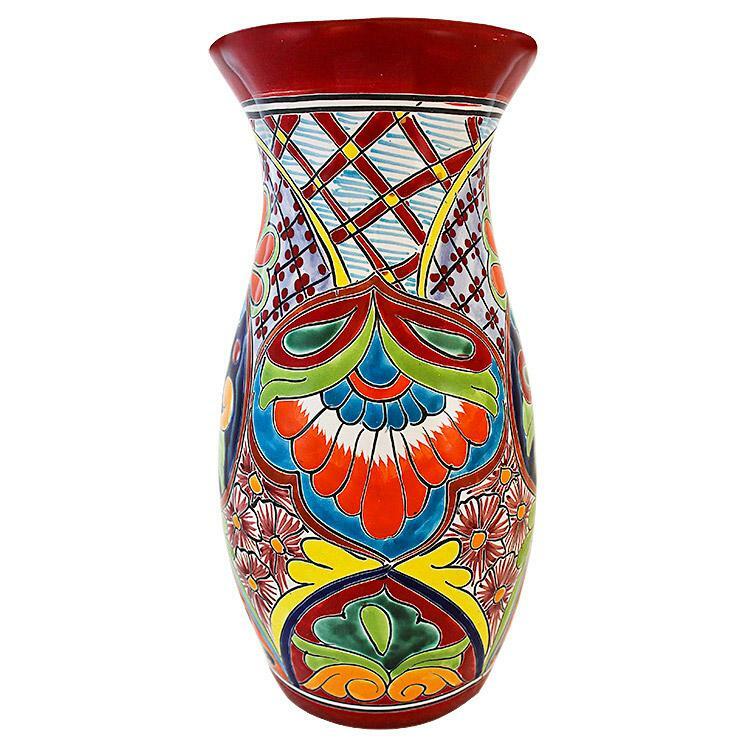 Talavera pottery comes in inexhaustible shapes, colors and forms making it one of the most versatile workings of art, which makes it uncomplicated to appeal to a variety of taste. There is a such wide variety to choose from that while you are determining what to buy, you will most likely have a harder time deciding which pieces to keep for yourself and which ones to give as gifts. Talavera is furthermore a brilliant option for home remodeling projects, you can transform your kitchen with tiles, murals, floor tiles, cooking ware, wall plates, and dishes. If you are thinking about your bathroom, you have talavera sinks, mirrors, and bathroom accessories. You also can convert the look and feel of your dinning space, living-room, bedroom, and floors, here is no end to the many ways you can fix up and change the look in your household. 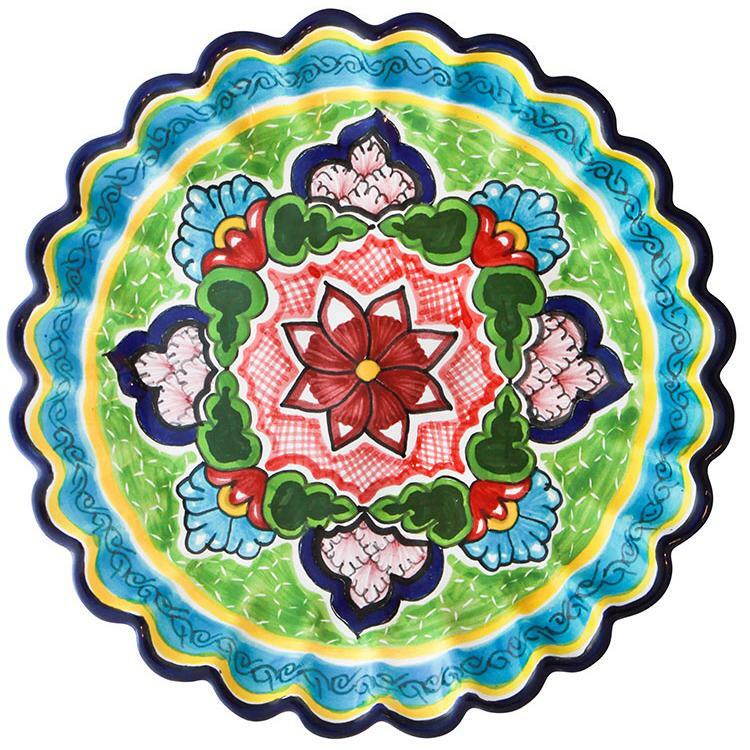 After you get a Talavera pottery piece, you are in possession of a part of fine art that has a rich history and a tradition going back to the 16Th century after it was formerly introduced by the Conquistadors to the Nueva Espana. The indigenous people who learned the old techniques added their own themes, colors and shapes, which gave birth to the pottery that we see today. 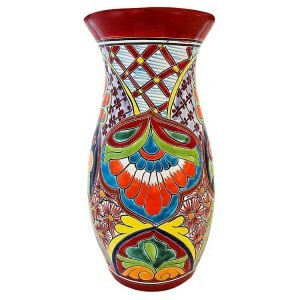 When you look at a Talavera vase, jar, urn, platter, plate, bath accessories, and tiles you will notice the influence of the different cultures; Arab, Spanish, Chinese, Italian, and Mexican that where involved in the evolution of this world-renowned art that had a great influence throughout the newly discover world. 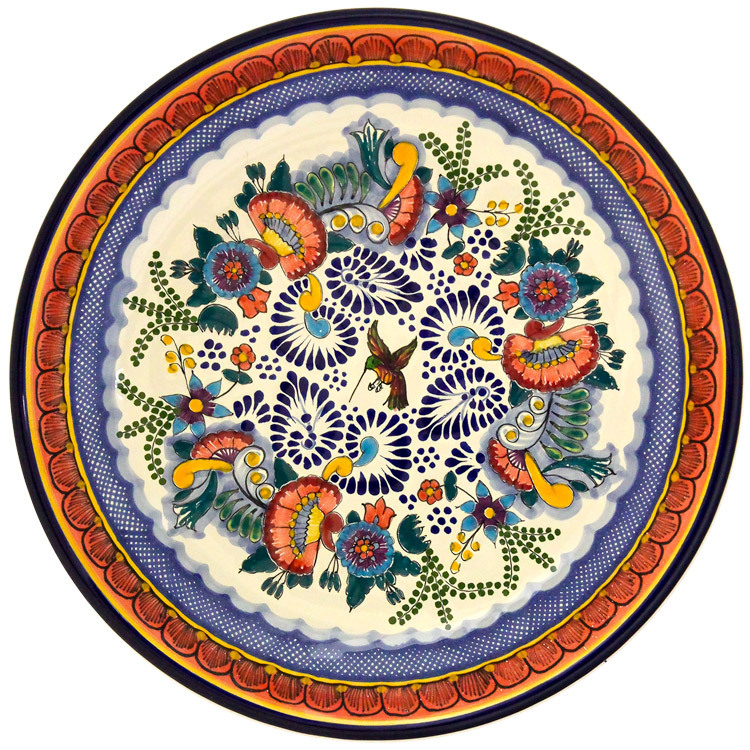 Due to due to its functionality and durability in every day use, Talavera pottery became popular in the 19Th century and in many cases a Talavera piece would become a legacy within a family, passing from one generation to the next one. Today, this can also be true, you can start a little legacy for you, or someone that you know. In our day, this will also will hold to be true, you can start a minor legacy of your own, or someone that you know. 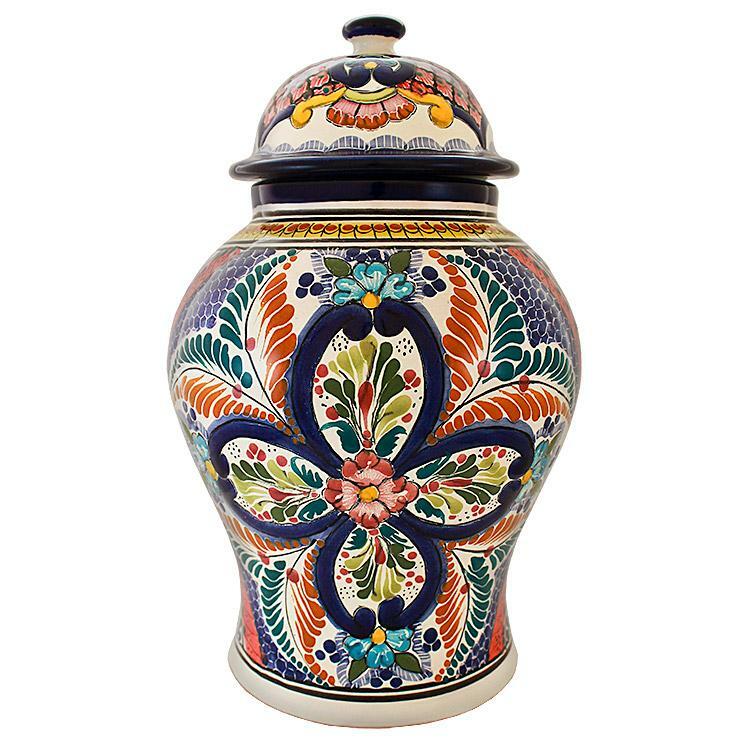 This year give out extra significance with less expenses with a piece of hand painted Talavera pottery, the finest earthenware of Mexico. The pottery was used by our ancestors for everyday use, but also as part of their religious rites. So we can find a wide variety of ways, because although they could be used to bring water, were also placed proudly in the center of the ceremonies that took place. An authentic pottery is made entirely by hand, using techniques that our ancestors discovered and that even today are passed by tradition from grandfather to childs. While today are manufactured in serie the fake ceramic, for do a real ceramic is required about a month of work. Clay usually used for processing, so we can ensure a very strong product that will stand the test of time. Originally this material was used to keep water cool, then before the intense heat of this country, they had a way to maintain a good temperature this vital liquid. The crafts used for daily use are usually brown, keeping the color of the earth. But for decorating the home is unusual to keep that color, it is common that is decorated with colors that give it new life. There are different types of Mexican pottery throughout the country, each region has its own style that characterizes it. For example, there Talavera Puebla, which is valued worldwide for its beauty and level of complexity in their development. If you come to Mexico, you can visit the many states out there. Everyone has their own style, so you probably end up finding something according to your tastes and needs. We have crafts of all sizes and colors for your home. In conclusion, in Mexico we are very proud of our ceramics. Has a unique globally which is prized by people who know art. Do not be fooled by imitations, the real is reality by craftsmen who are still using ancient methods. 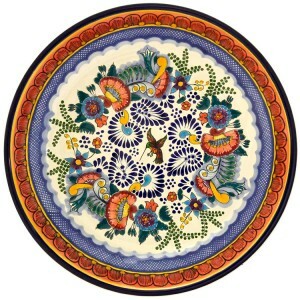 An elaborate process is involved in making a piece of Talavera pottery. First, comes the selection of the clay, which is chosen from the area of Puebla and nearby vicinities. The clay found in this region is known for its fine quality. After a detailed process of washing and soaking the clay, it is then hand-formed or shaped on a potter’s wheel into its desired form. Next, it is allowed to dry in the sun for a matter of days, after which it is fired at 2,000 degrees Fahrenheit. A test is performed at this point, making sure there are no cracks in the object. 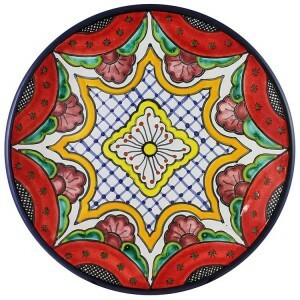 This is followed by an initial glazing process after which the hand-painted design is applied. This stage differs in length, dependent upon the intricacy of the design work involved. A final firing is performed. Before being offered for sell, a certification process is next on the agenda. This is to ensure that the piece meets regulations and the level of excellence in craftsmanship has been achieved. It is at this time, provided all conditions have been met, that the piece is stamped with the maker’s mark along with a registration number. 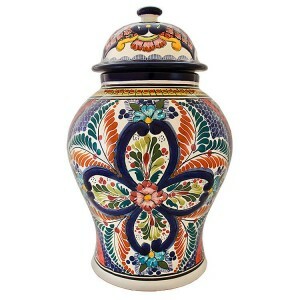 Nearly 500 years later, artisans continue to produce talavera in Puebla. In fact, the capital city is home to the longest continuously operating factory in Mexico and perhaps the world: Uriarte Talavera. Uriarte is one of the oldest businesses in the country, ranking in the top 10 behind José Cuervo’s tequila distillery in Jalisco and several other well-known enterprises. Saltillo tiles are typically the traditional Mexican ceramic tile, which features a wide variety of colors, such as varying hues of browns, beiges, oranges, yellows, and even reds. These festive colors make them ideal for homes that feature such a color scheme. The tile is named for the city from which the strong clay is mined. 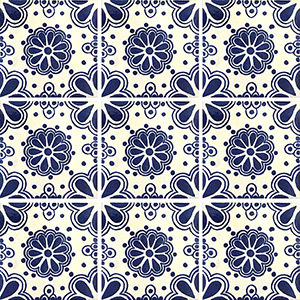 Another type of tile is the Talavera tile, which is the most decorative type of tile because of the wide variety of patterns that are typically painted on them. These tiles are given a glossy finish to further emphasize their decorative appeal. These types of tiles are often wall-mounted in conjunction with the aforementioned Saltillo tiles because of how well the two types complement each other. By carefully planning out the design of your home beforehand, and researching different types of furnishings that can go along with the backdrop, you will no doubt be able to create a warm, cozy environment that is sure to please.